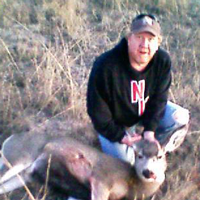 Avid hunter, outdoorsman, athlete and dedicated supporter of our armed forces. Gene is a successful tenured business executive with established companies such as General Electric and Xcel Energy as well as start-up organizations. Determined to provide the resources and business acumen needed to build strategic partnerships and enable fully supported hunts for our Wounded Warriors. As an Elite cycling athlete and 2010 UCI Masters Cycling World Champion, he knows what sacrifice, dedication and success are all about and will bring these positive characteristics to US Warriors Outdoors and our Wounded Warriors. Courtney is an Iraq veteran who served almost 9 years with the U.S. Army. He served with numerous units finishing with the 175th Infantry, Maryland National Guard. He has been an active member in veteran circles working with Espirit de Corps on the documentary film Veteran Nation, Vets for Freedom, The Iraq Society, and Wounded Warrior events and fundraisers. Stecker, son of a retired Army Lieutenant Colonel, is also familiar with the service and sacrifice that military families make and the importance of organizations like USWO to re-forging family ties after deployments. Stecker, is currently matriculating at Georgetown University where his studies focus on international relations, and national security. Courtney is well-respected in the Washington D.C. area and will bring USWO value through his extensive military background, local connections, relationships and strategic competencies. 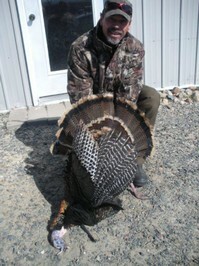 Bob is an icon in the hunting world. 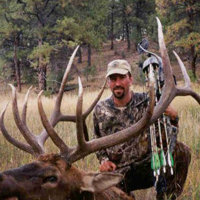 One of his claims to fame is his stellar reputation in the world of TV hunting show production with TV stations such as the Pursuit Channel, Versus and Comcast Sports South. 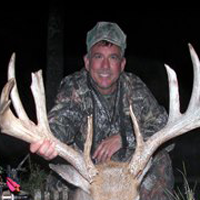 Bob also owns and runs the Birmingham Deer EXPO, the largest consumer hunting show in the country. His absolute commitment to the sport of hunting, respect for our armed forces as well as his contacts throughout the hunting world including athletes, celebrities and hunting product manufacturers, is a huge benefit for US Warriors Outdoors. Bill Dorris is a native of Arthur, Nebraska. 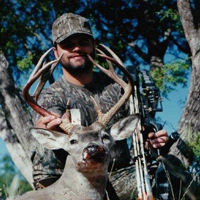 As a disabled veteran and avid outdoorsman, hunter and guide, Bill brings an incredible amount of field experience and ability to connect with our wounded warriors. Through Bill's friends and family connections throughout Nebraska, USWO has partnered with numerous landowners and people in the community who have donated quality hunting properties, lodging, food and volunteer work to support our wounded veteran hunts. As a respected community member, Bill continues to build this network of support including a mutually beneficial relationship with Nebraska Game and Parks. Bill and Game and Parks worked together to retrofit a duck and goose hunting blind to make it handicap accessible. Bills background as a business owner, entrepreneur and corporate experience allow him to effectively build solid relationships with organizations, community and our wounded veterans to help drive a successful US Warriors Outdoors organization. Jennifer moved back to Colorado after living in California and completing her education out there. She has a degree in Commmunications with a Marketing emphasis. She has been involved in helping non-profit organizations since 2000. 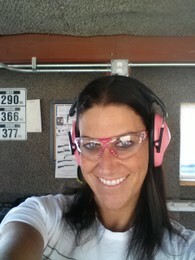 Her passion is to give back through volunteering and fundraising and has found a great fit with US Warriors Outdoors. She has a great connection to many local groups and organizations which will help USWO succeed with our mission. Since moving back she has become an avid shooter, fisherman, and hunter and is very excited about future adventures with USWO. She cant wait to see whats next..so stay tuned..
Tim was a lifetime outdoorsman sharing a reverence for our armed forces, wildlife and hunting tradition. A successful entrepreneur, business owner and tenured career as a professional musician, Tim brought a unique passion to give back to people. His practical business background, personal connections to Wounded Warriors and empathetic approach to wounded veteran needs brought huge value to the organization. Tim was a lifelong giver through his commitments to organizations such as the Boy Scouts and VFW and will continue to bring these values to US Warriors Outdoors.